During my international studies, I got the opportunity to live and study in New York for two whole months. Isn’t that every girls dream?! After just one week it became clear to me that we would have to fight to get some free time during those two months. Even though I spent quite a long time in the Big Apple, I still didn’t have time to do everything I wanted to do. I decided to first tick off free and budget-friendly things on the list to compensate the high cost of living. 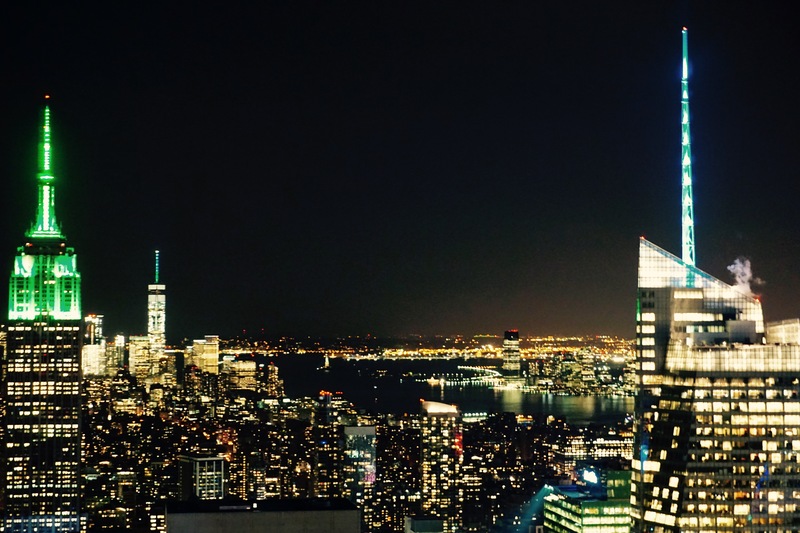 Today, I am sharing with you the top things of my list of free (or almost free) activities that will make your trip to New York exciting and wallet-proof! 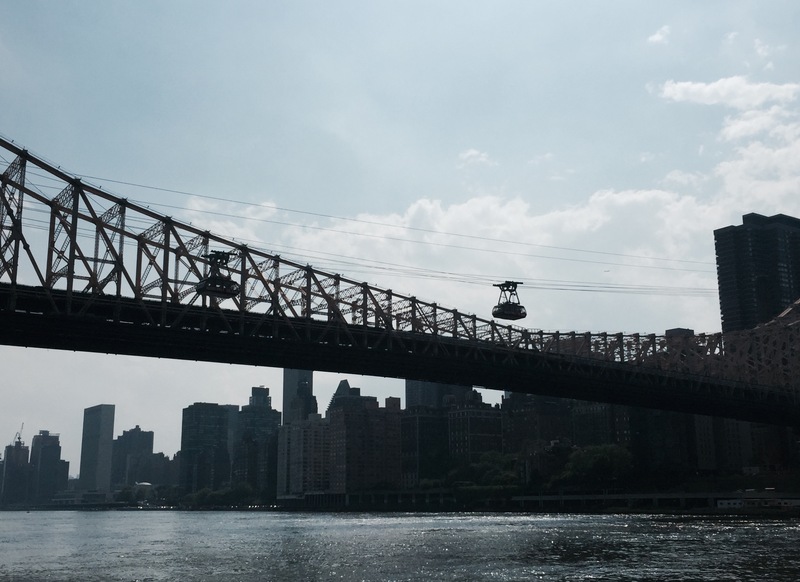 Between the isles of Manhattan and Queens you’ll find Roosevelt Island. Mainly, it is a residential area, but it is still worth a visit because of the Roosevelt Memorial on one side of the island. Take the orange F train towards the island and as soon as you go above ground, you’ll get that amazing view of the Midtown Manhattan skyline. It is nice to go both during the day and in the evening. At night, you can sit in the grass and admire the city lights. During the day, you can stroll take a stroll by the water. When leaving the island, take the hanging tram. The ride is free is you have a subway ticket. The view over Midtown is a nice and different experience. Definitely worth a try! Mind you, during the summer the cabins are suuuuper hot inside! 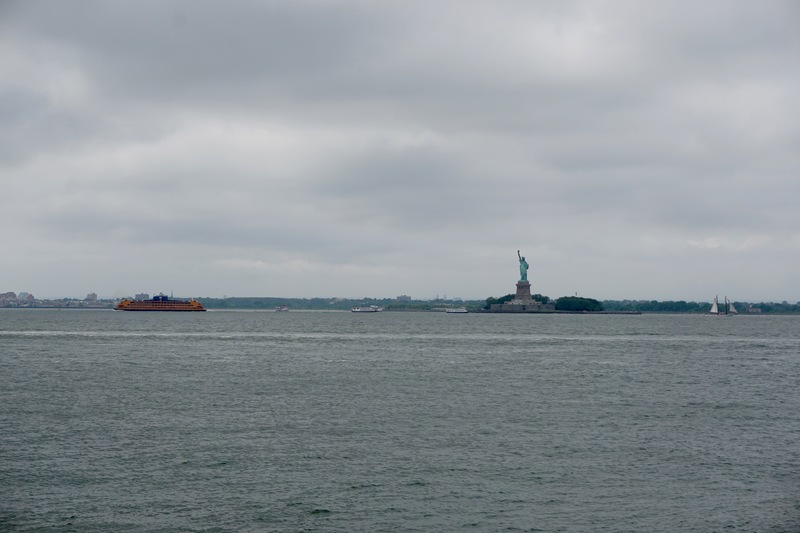 Staying in the transport theme, I want to introduce to you the free boat ride that will take you by the Statue of Liberty, all the way to Staten Island. Just like the Roosevelt Island Tram, the Staten Island Ferry is an official transport system in New York that commuters use to go to work every day. 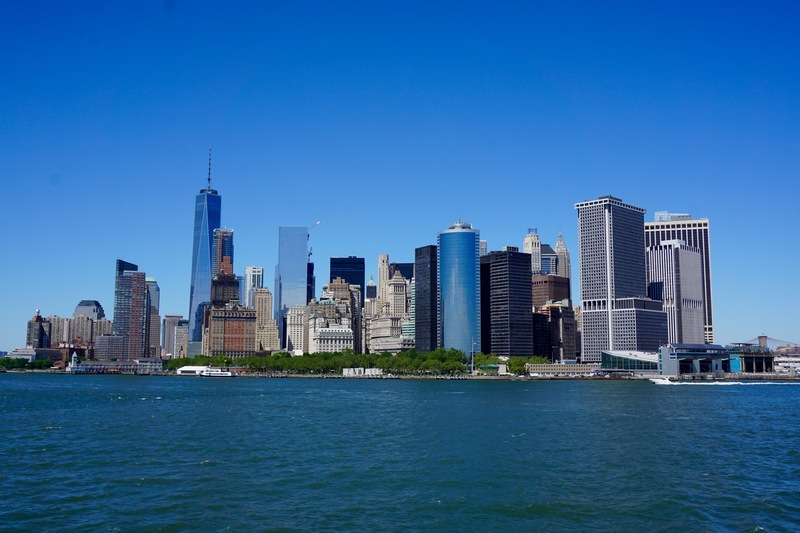 That’s why you can take the ferry for free – even when you don’t have a subway ticket! The boat is really big and takes off every half hour. On the island itself there isn’t much to see. There is a nice terrace by the water where you could go have a drink, but you could also just go and sit on the boardwalk to enjoy the view on Manhattan and Lady Liberty. 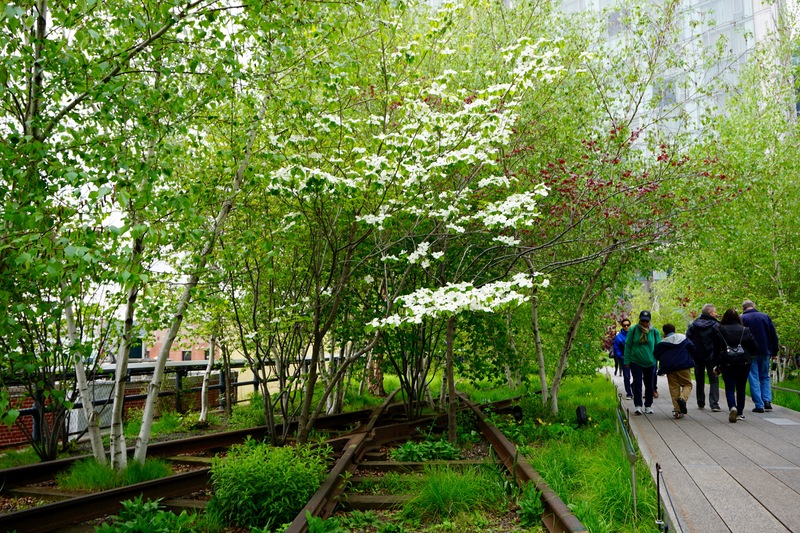 Let’s switch to the green stuff: the New York High Line is an elevated railroad transformed into a greenway. The railroad had long been deteriorating and, eventually, the city decided to break down the railway. Until the citizens came with the idea to turn the railway into a park, based on Paris’s Promenade Plantée. Today, the High Line is a favored spot for a picnic or a walk/jog. You’ll enjoy wonderful views over the Hudson River, Meatpacking District and Chelsea. Pieces of art are placed on strategic places between all the greenery. I was super happy that I finally got to discover this place for myself and walk all the way from one end (14th Street) till the other end (Gansevoort Street). And also, entrance is completely free! To stay in the park’s theme, I probably shouldn’t have to tell you anymore that you can visit Central Park for free? A few centuries ago, the New Yorkers realized that very soon they wouldn’t have enough green and nature left in the fast-expanding city. That is exactly why they created one of the biggest parks of the world. 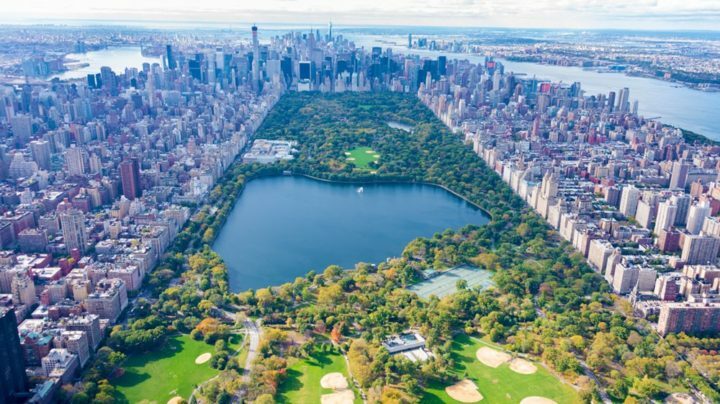 You can participate in many paid activities in Central Park which are also worth trying – like renting a boat on the lake, going for a bike ride, or lunching at The Tavern on the Green – but like in all other parks, you could also organize your own picnic, go for a jog, or have fun people-watching (which is a fun pass-time anywhere in New York). You could entertain yourself watching one of the frequent baseball practices or attend one of the many free festivals (theater, concert, yoga) that are organized during the summer. Coney Island has been on my to-do list for a looooong while. The peninsula is mainly known for its “peculiar” residents, the Mermaid Parade that takes place every beginning of June, the amusement parks and the white sand beaches. Even though the rollercoasters were my main point of attraction, it turned out the amusement parks are actually really expensive! Just like at the fair, you pay separately for each attraction. This means you’ll be putting down 10-12 bucks easily per ride. In the end, I went for the Mermaid Parade (check out this video) and the beach. If you are in New York for just a few days, skip this place. It takes a long while to get here. But if you are in NYC for a longer while or just really want to go for the rides, then go ahead and enjoy! Free museum nights: take a look at the website of your favorite museums to find out how you can get an (almost) free entry ticket. Some have a donation-based entrance policy after a certain hour. So basically you could visit the MoMa for just $1! Discount discoveries: start following Time Out on Facebook or look out for the booklets they hand out near the entrance of big subway stations. Time Out lists the free or cheap activities that will take place each week all over New York. Don’t mind spending a little more? Ready for your trip to New York? What are your budget tips to survive New York?